“Thanks, but we already got a client for that”. After completing his Philosophy degree in 2017, James wasn’t really prepared for a job in sales. He was a fresh SDR and he needed more real-life sales experience. James wasn’t able to secure many meetings which affected his performance. He was getting stressed and full of doubt whether he made the right choice, as quotas were slowly creeping in. 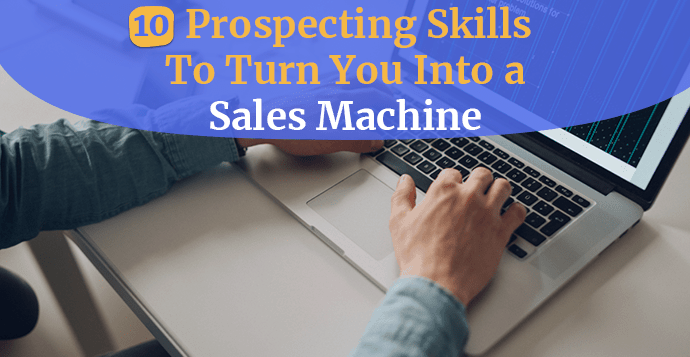 James was lacking the most important prospecting skills and for all you James’ out there we gathered insights from successful sales people in the field to help you become a sales machine and crush those quotas. 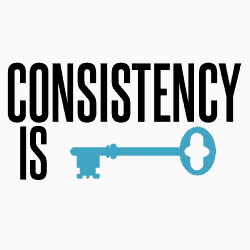 Consistency is super important on the path to becoming a successful prospector. And the key to consistency is having the right systems set up from the start. 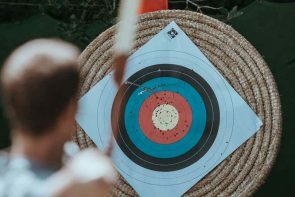 Not all prospects are equal, so you may as well start by identifying your most important targets. Create a list and find a way to track them and gather their information. Even better, order your custom made list with all the data you need and dramatically increase your time efficiency. A successful salesperson does the prospecting every single day. If you want to become great at sales you need to prospect daily and do it over and over again. Block your schedule and allow for some uninterrupted time when you will only work on this task. Do that during your power hours – the hours when you feel the most productive. If you feel most productive in the morning, that’s when you should do the prospecting. Start small, pick a specific hour and focus on the task. Later on, you can increase the time that you spend on your daily prospecting task. Google Calendar is a great tool you can use for time blocking. Here’s a really good article that explains how time blocking works. Remember, consistency is the key to revenue growth. We can’t stress this enough. 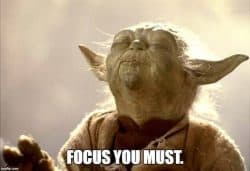 The focus is necessary to get things done, especially when it comes to prospecting. Once the system is set up, the next process is focusing on getting the task done. Poor sleep impacts your productivity so aim for at least 7 hours per day. Remember, working longer doesn’t mean achieving more. It can only lead to burnout. Get better sleep and your focus at work will significantly improve as well. Here are some ways to improve your sleeping habits. Sometimes the only initial push that you need is a short mindfulness exercise. Start with your why and ask yourself why you’re doing something. Once you know your why, figuring out the how will be much easier. Unplugging is another good tactic for improving your focus. If you dread starting the prospecting task, unplug for a short period of time. Block the sites that distract you. Do something more productive, like going out for a walk, stretching, or having a glass of water. This may seem obvious but our brains are flooded with so many information. That makes it difficult to focus on the task in front of us. Remember to use your energy wisely by doing one thing at the time, starting with your most important task. A most important task, also known as MIT is a critical task that will have the biggest impact on your day. You should not have more than three MIT’s per day. Remember, it’s all about being efficient. The first step boils down to identifying your triggers. Do you find yourself mindlessly scrolling down your Facebook feed? Do you switch tabs in your browser? Do you avoid writing that important email by checking what’s on Youtube? Whatever that is, it is important to be mindful about it and return to your most important task. Most of us multitask on our computers, so here are some ways to stop this bad habit. Prospecting is associated with finding and processing the information about every contact. That is why research is one of the most important skills every salesperson should have. When you’re doing online research, you’re probably bookmarking a lot of pages. Don’t store all of them at the same place. Use different folders to easily discover what you’re looking for. Advanced Google Operators are the commands you can use in your Google search to get more specific information. Besides an exact-match search, you can experiment with the more specific ones. For example, this search query site:www.website.com and filetype:pdf 2018 can help you find internal documents of an organization for the specific year. Companies publish all sorts of documents on their internal servers. Most of them are in the PDF format. And this is where you find the secret sauce! It is not rare of them to publish confidential documents thinking that no one would be able to find them because you can’t access it normally on their site. Use this Advanced Google Operator to get an insight into financial documents, case studies, and other relevant information. This is just one example, learn more about operators here. When you are reaching out to prospects, it is always great to include some interesting data or trends. Some useful tools for finding out the current trends and news releases are Google Alerts, Google News, BuzzSumo, and Gartner. Success comes from understanding your failures. In order to learn from your losses, you or your sales team, need to measure metrics and build reports. Setting up the right KPIs right from the start can only help evolve your sales process. But, the work doesn’t stop there. The Griffin Group did a research several years ago and what they found was pretty shocking. Nearly 60% of marketing and sales professionals don’t conduct interviews with the lost customers. If you want to learn from your losses, you have to ask for feedback. Is there something that could have changed your mind? Why did you choose a competitor? Is there something you would advise us to change? Listen carefully to what they have to say and try to understand their point of view. They will appreciate the effort and will be more honest with their thoughts. This information will be super valuable in the long run. When you sell, the most important thing you have to provide is value. And not just value in your product or service. Try to provide value in every conversation you engage with. This is one of the most important prospecting skills. You have to convince your prospect that their time will be well-spent if they decide to talk with you. Value separates you from others and it secures long-term success for your company. If you want to provide more value start with research. You need to have a great understanding of your customer and your industry. Be prepared before every call or meeting. Identify any possible gaps or surprise questions that you may get. Another great way to provide value and build trust is to be proactive. Don’t forget your customers and don’t wait for them to come to you. Reach to them every now and then. Provide suggestions and product updates. Ask for their feedback. 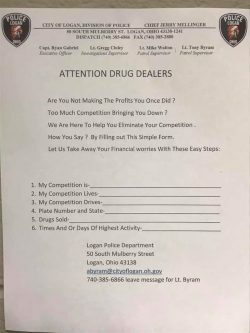 Offer them a whitepaper or a case study that would be beneficial. This will highlight you as someone who cares about providing value and making good relationships with customers. It can often take more than 8 touches to get through the top prospects. This number will depend a lot on the industry and the title of the prospect. One thing is sure – you have to be prepared for continual attempts. Cold calling works well but it shouldn’t be your only method. You can complement it with email and voicemail. 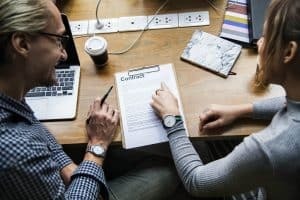 You can also connect with your prospects on social media, especially Linkedin. Social media can boost your awareness so it is important to have an online presence on different social media networks. Note that every social media platform is different and requires a different strategy. You won’t be using the same tactics for your email newsletter, Linkedin or Facebook group. If you want to learn more about social media and you are not sure where to begin, here is a list of 31 resources for beginners. Use a variety of touches and try to make each one as valuable as possible. This will help warm-up the possible prospects. Don’t forget to follow-up with your potential prospects. Set up a follow up schedule over the span of a few weeks. By reaching out via email, you will be able to check their interest by seeing whether they opened your email and if they clicked on any link. Your job is to persuade someone to buy. For that reason, writing good copy is necessary. It is one of the most important marketing skills you could learn. Your writing should be clear, concise, and persuasive. Remember, you need to encourage someone to take action. Information overload is a serious drawback of today’s digital society. For that reason, writing an eye-catching copy is important. When people visit your website and land on your sales page they want to know immediately what you offer. Here’s a list of 20 fantastic copywriting books that can serve as your starting point. This subreddit is another good place. 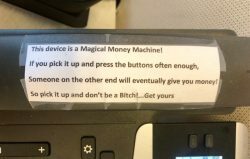 The cold calling process can be tedious, especially if you are new to it. The number one thing is your mindset. Remember that it is not about you. It is about them. To make this process more successful for you, call your prospect by their name and introduce yourself. Many people will drop the call, so you have to grab their attention immediately. Also, prepare your questions in advance because qualifying a prospect will be much easier. Pace and volume. Try to keep it balanced. You shouldn’t speak too slow to bore your prospect, but you also shouldn’t talk too fast and confuse them. They will need at least 10 seconds to warm up to you. Make sure you’re not being loud because that may portray you as someone who is aggressive. Clarity. Be clear and concise when you are communicating with others. Remember, you only have a short amount of time to get their attention so make sure to get straight to the point. Use The Voice Recorder. Record your conversations so you can see how you did and if there are some areas where you could improve. You can even ask others for feedback. The most important tip to remember – do not push the sale during the first call. The first call should serve for asking questions and gathering important information. This makes your prospect more relaxed and willing to talk. Be relaxed and don’t be afraid to ask questions. Asking questions is the key to the sales process. If you need tips for eliminating the fear of rejection, check out this post that outlines 100 call methods. Relationships are built over time. So, don’t get discouraged to hear no, because you are likely to hear it many times. Even with a great pitch. Building trust is necessary for good relationships. Always follow up with your promises and be consistent in your messaging. If anything changes make sure to notify your customers. If possible, try to meet them face-to-face. This human aspect is important and can make a huge distinction in how potential customers see you. You can improve your sales performance by sharpening your listening skills. Let your prospect talk more and try to articulate your thoughts at a normal pace. The most important thing to note is – do not interrupt! Not only is this rude, but you might miss on something important that your prospect could have said. Here are some great tips for improving your listening skills. These prospecting skills could transform your career. Focus on one at a time and then work your way up by improving other areas as well. You can also check out our previous post which lists 11 best sales prospecting books you should read. Because learning is never enough! According to research, sales reps can be spending as low as 22% of their time actually selling. We’re sure we all think this is not enough time. Thankfully, there are ways to free up their time so that they can focus what they do best. Find out how.